Lynne Macdonald is a lifelong supporter of ICT FC, and Caledonian FC before ICT’s formation in 1994. She lives in Invermoriston and is married to Neil and they have three sons, Andrew, Calum and Ross who are all season ticket holders. An Advanced Nurse Practitioner, Lynne has carried out lots of volunteering at the club over the years from making tea to programme selling. She was also part of the trust board that arranged the transport to previous cup finals including the football special trains to Celtic Park for the League Cup final in 2014 and also the 28 buses we ran to the Scottish Cup final in 2015. 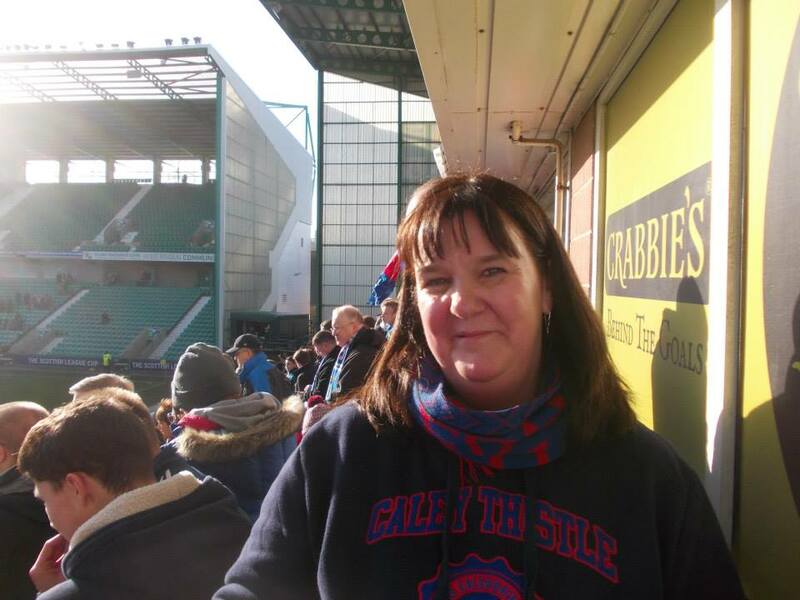 She is a member of the ICT Supporters’ Trust and continues to be a loyal fan of the club. Here she recalls her memories of a club she continues to follow and love. “I fell in love aged 12 with football. My uncle (Jimmy MacLeod) took me to see Caledonian play Hearts in a friendly and that led to a lifetime hobby and obsession. 8 years later I became the first female member of the management committee. In those days I was very much a woman in a man’s world. It is still a man’s world but many more women and families attend games now. I admit I wasn’t totally on board with the merger at the beginning and cried all weekend following the Muirtown Motel vote. “However, as time went on it was plain to see that a merged club would bring league football and the chance to put Inverness on the football map. There were dark days in the formation of Caledonian Thistle, but we are now 25 years on and although it is fun to look back it is more important to look forward. As we continue to grow our support there will be fewer and fewer fans who remember the past. I’m proud that my 3 sons have grown up avid Caleyjags fans and are all season ticket holders. The past 25 years have been amazing. There has been downs as well as ups and some fantastic memories along the way. It is also great to see the club put youth firmly at the top of the agenda going forward. Growing our fanbase needs to remain a priority. “My favourite game isn’t the obvious Scottish Cup victory in 2015. Rather the 7-0 win in Ayr with 7 different scorers. This was the best Caleyaway which will always be remembered for Terry Butcher’s sermon in the stand!